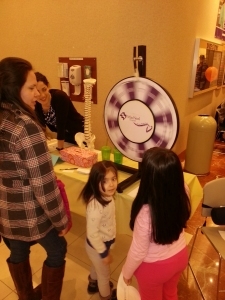 State Rep. Lisa Hernandez hosted a free kidney and diabetes screenings at a health fair co-hosted by State Rep. Lisa Hernandez Saturday, March 22, at MacNeal Hospital in Berwyn. Hernandez partnered with the National Kidney Foundation of Illinois and MacNeal Hospital, and also with State Rep. Mike Zalewski and State Senator Steve Landek to host the fair which will also provide a variety of local health vendors including the Illinois Department of Public Health and PAV YMCA. The screenings were conducted by the National Kidney Foundation of Illinois KidneyMobile®, the nation’s only custom mobile unit that travels across the state screening individuals for kidney disease and its main causes, diabetes and high blood pressure. Kidney screenings were conducted in the KidneyMobile® at MacNeal Hospital. To date, the KidneyMobile® has screened nearly 40,000 people in Illinois. Unfortunately, 75 percent of people screened had at least one significantly abnormal test result. National Kidney Foundation of Illinois: www.nkfi.org.